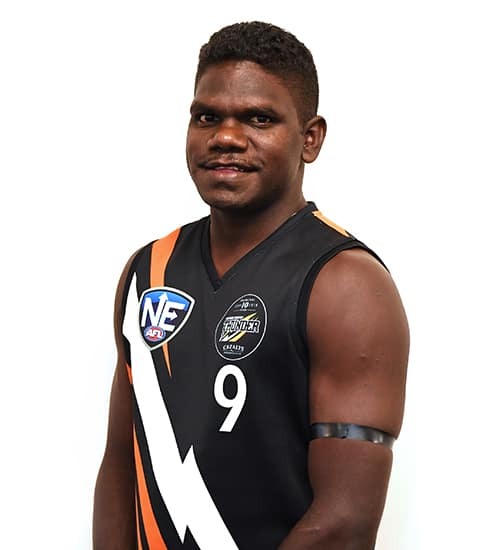 2011 NT Thunder premiership player and NEAFL Rising Star, the ‘human highlight reel’ has forged a career for the Tiwi Bombers in the NTFL. He is an exciting forward who has experience in the VFL playing for Sandringham and in the WAFL playing for South Fremantle. He was named in the NT Thunder Team of the Decade, the only Tiwi Islander to be bestowed the honour.